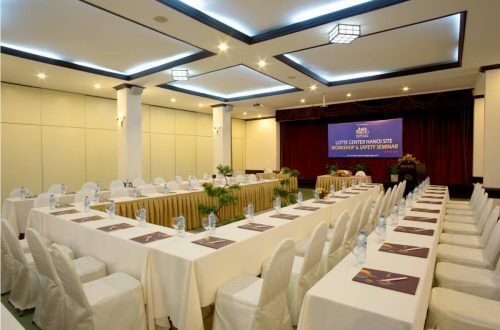 Business travelers who come to Hoi An Historic Hotel to take advantage of its superlative, state-of-the-art conference facilities can have every confidence that they have settled on the best venue by far in the area for their meeting or conference. 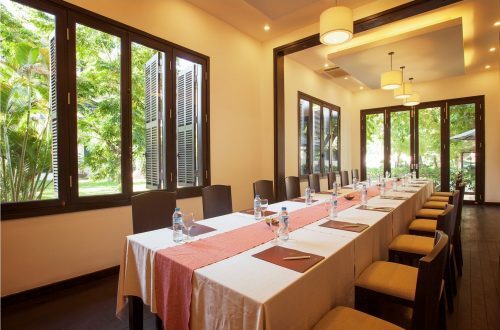 The hotel’s magical location, in the heart of the historic town of Hoi an, also means that when the day’s work is done, vibrant and existing bars, restaurants and cafes, the down town charming street and river-front walks, tailor shops, art galleries and handicraft centre offering some of the best shopping in the area, are all just around the corner. 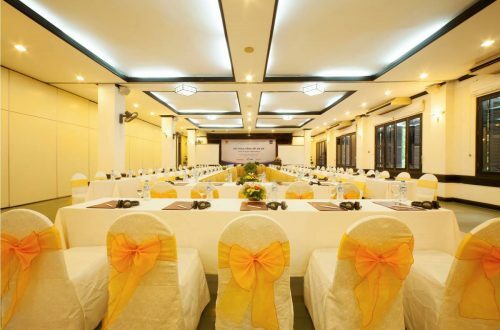 Offering more than 400 square meters of flexible meeting rooms, Hoi An Historic Hotel provides all facilities for banquets with a large reception area for groups ranging from 20 to 300 guests.